This treatment forms the foundation of Divine Skin Therapies selection of skin care treatments. Based on your skin analysis this treatment will be unique to each individual client, customized with Dermalogica’s unique Complexes and Botanical Mixers to target respective skin conditions and skin concerns. Includes: Complimentary Consultation, Cleansing (with steam if appropriate), Exfoliation Extractions (if required), Intensive Treatment Serum, Mask, Concentrated Booster, Moisture Protective & Essential Sun Protection. Give your skin a revitalizing power boost with this treatment designed to help control the biochemical triggers that lead to skin aging while treating the signs of premature aging, photoaging and sun damage. Jump-start acne clearing with this purifying, detoxifying professional treatment that promotes breakout clearing well beyond the treatment and is the perfect maintenance for consistently clear skin. This treatment calms and soothes skin that is irritated, reactive and sensitized by targeting the triggers behind redness, itching and stinging, while helping to recover skin health for long=term relief from flare-ups. 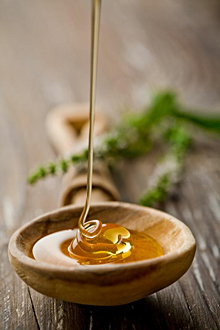 Waxing is done in a private, professional and hygienic manner. All makeup applications are using natural organic mineral makeup. Makeup can be applied At Divine Wellbeing or at the location of your choice (out of wagga incurs extra cost). Gift Vouchers are also available to purchase!